With abortion in the news again, I thought I’d post the following review that I wrote for a different website a while ago. Enjoy! 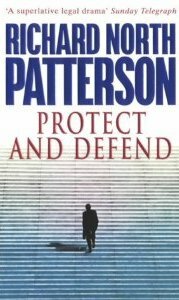 If you’re looking for a stimulating read sometime, try Protect And Defend , by Richard North Patterson. It is a court-room drama centring on an abortion ‘test case’ in the US, and is fantastic. As far as I’m aware, the author isn’t a Christian, but the book is way better than a Christian novel tackling a similar theme that I read around the same time. He does a superb job of presenting both sides of this incredibly emotionally-fraught case sympathetically and fairly, giving each side compelling arguments and not succumbing to the common temptation of caricaturing one side or the other as evil or so ideologically biased as to be unsympathetic. Both sides submit a strong case, and the conclusion really is down to the decision (and biases) of one man. Excellent stuff, and a real example to Christians of how to write, structure and resolve a strong story to make people think really deeply about an issue. Buy it here , or find it in your local library.